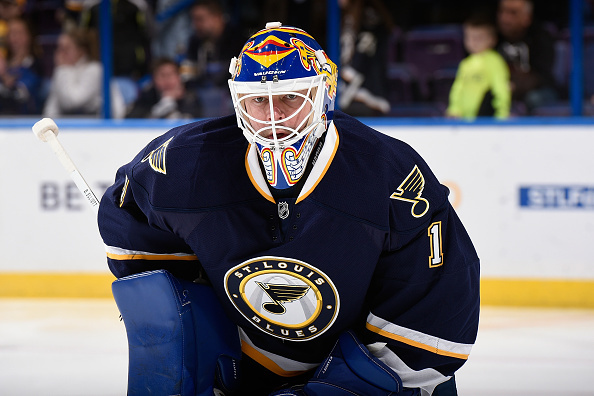 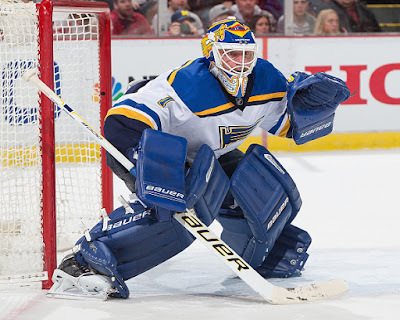 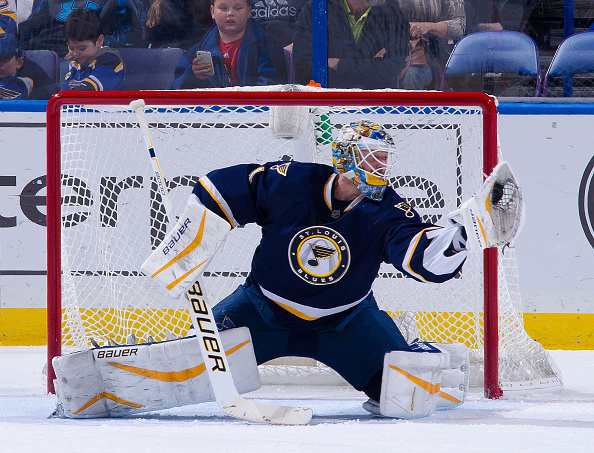 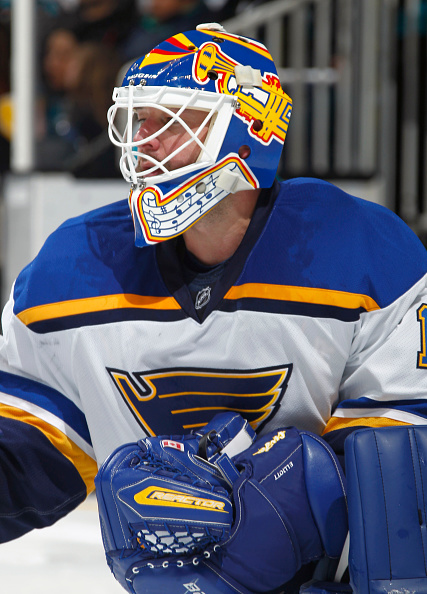 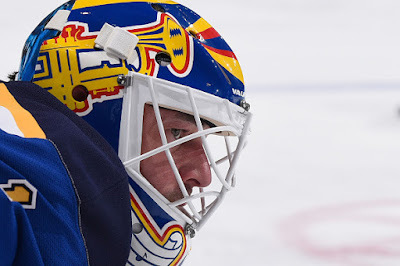 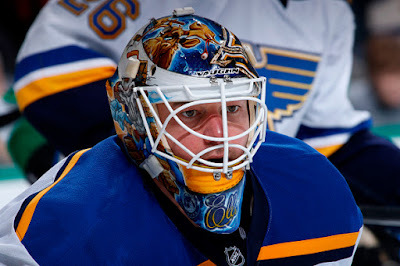 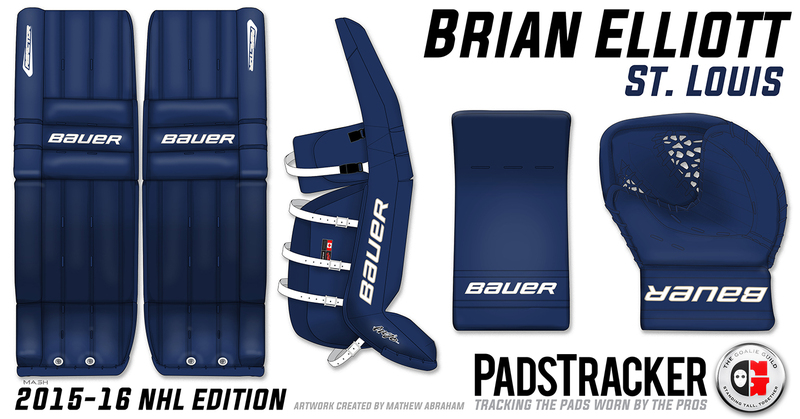 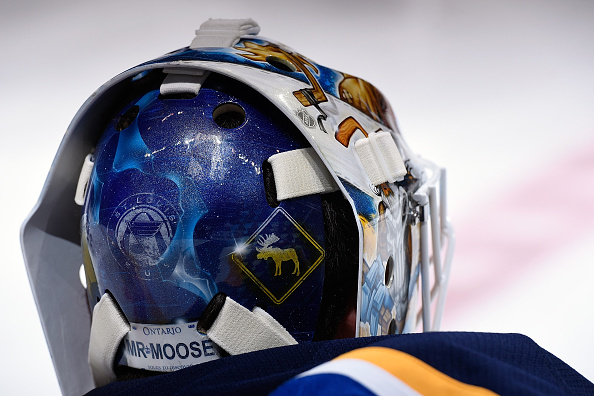 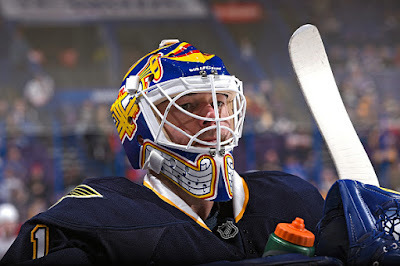 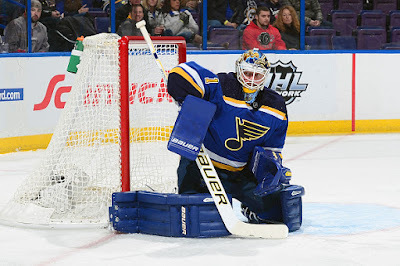 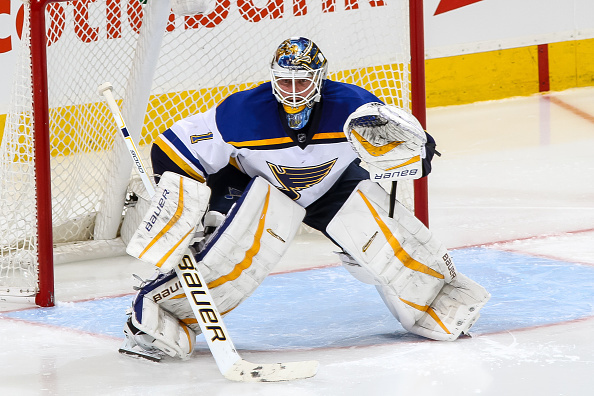 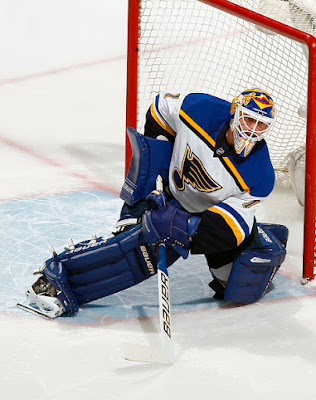 He also started wearing all blue pads (similar to Cujo's) in January as well. 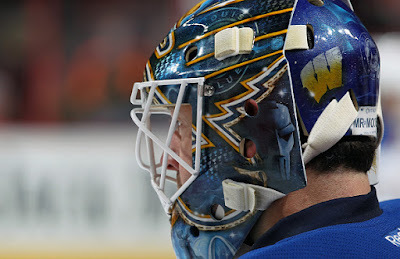 This is the mask he began the season with, but I can't find information about it. Here are the pads he began the season with. 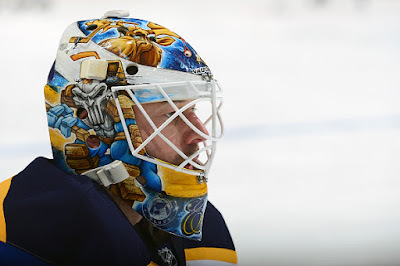 Below is a mask David Gunnarsson posted on Twitter/Facebook in October 2015, but I haven't seen any photos of him wearing it. 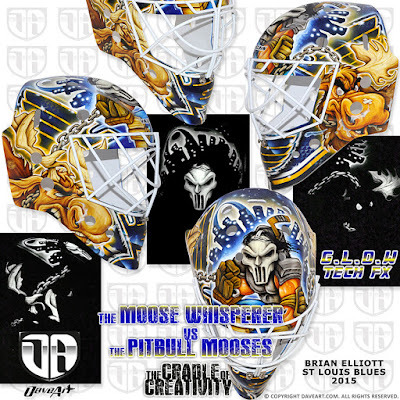 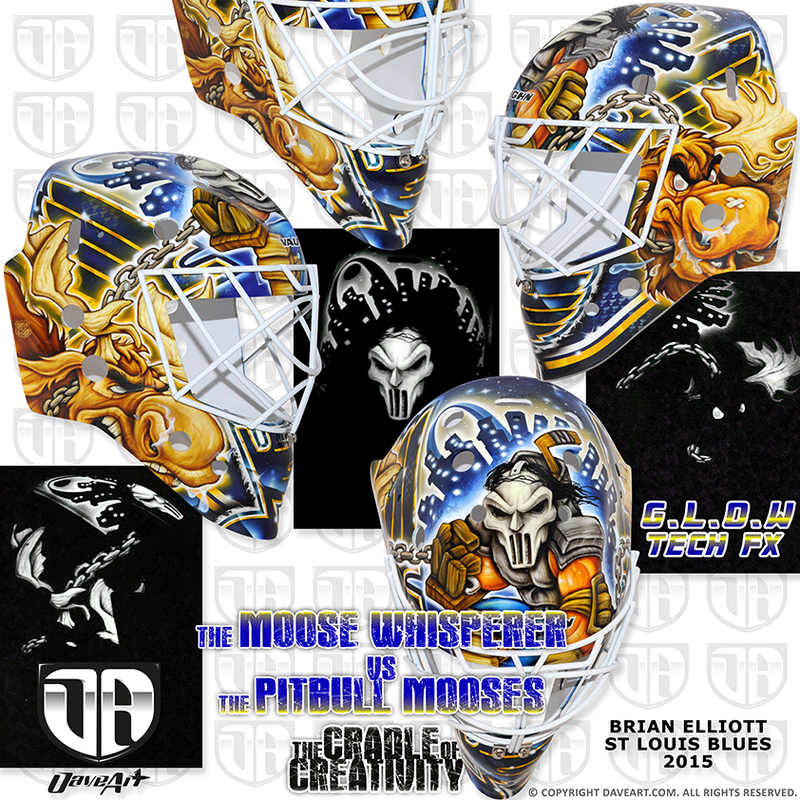 It stays true to his usual theme of including a moose, and incorporates the mask of Casey Jones from Teenage Mutant Ninja Turtles.